The Which? Trusted Trader logo is a sign of reputation & trust. Which? are famous for rigourously assessing tradesmen and endorsing only the best. 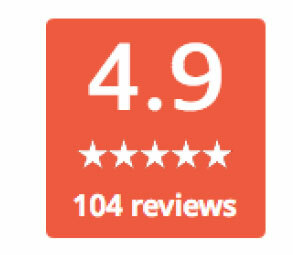 C J Charles continue to meet these high standards and are proud to hold over 100 positive customer reviews. Please see below for some of our Customer Feedback or visit www.which.co.uk and leave your Feedback! "From our initial meeting with this company they oozed professionalism and had an astute grasp of their customers' needs. 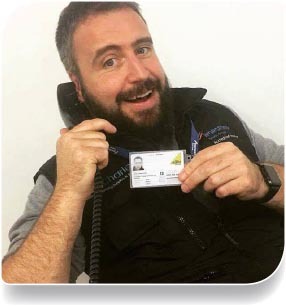 The workmen were punctual, personable and we experienced a real investment in people, from a new apprentice to a returning retiree all working together to accomplish a clean and knowledgeable finish". "I totally recommend this firm. 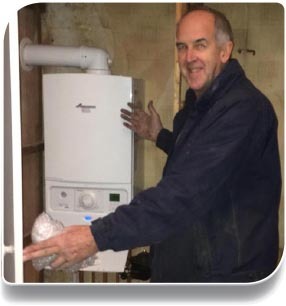 They installed a full system and boiler and from the initial contact to completion I was very satisfied. They work hard and are friendly, professional and efficient. Each evening they cleared away and vacuumed everywhere. Of course there was upheaval, that was inevitable, but it was minimal because of how these men worked and acted. Very pleased". 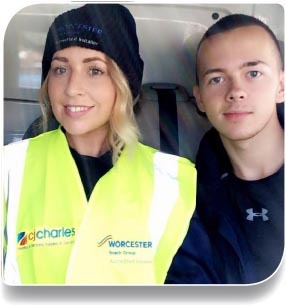 "From his arrival, the chap Craig was cheerful and reassuring and knew exactly what I needed doing – so good office communication between Dannii & Craig. He has checked the boiler and answered my questions as to why it had failed and has showed me how to make simple adjustments. Said to call their office if further support is needed. Also showed me how to bleed a radiator and explained why that might be needed. Checked all other appliances and meter, and I feel confident that help - if it should be needed – is at hand". "As a Which? Trusted Trader we have a range of support services available to us and our customers. One of these services is access to an independent Alternative Dispute Resolution (ADR) service, which enables our customers to seek an impartial review of a complaint in the unlikely event that we are unable to resolve it between ourselves. This is a free service for the customer offered by Dispute Resolution Ombudsman, an approved government scheme.